A Rolling Stones classic has returned to the US charts in sync with its inclusion in ad campaign for carmaker Acura. Billboard reports the group’s 1967 single, “She’s A Rainbow”, enters the Hot Rock Songs chart at No. 24 with sales and streaming gains sparked by the song’s appearance in a commercial for the all-new Acura RDX. "She’s A Rainbow" also begins at No. 7 on Rock Digital Song Sales, becoming the legendary band’s first top 10 on the chart, which began in 2010; on the all-format Digital Song Sales chart (which dates to 2004), it's the band's first entry with a debut at No. 48. 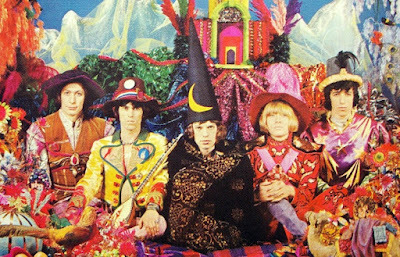 The second single from the Stones' 1967 album, “Their Satanic Majesties Request”, "She’s A Rainbow" originally reached No. 25 on the Billboard Hot 100 in January 1968 while the record hit No. 2 on the Billboard 200.